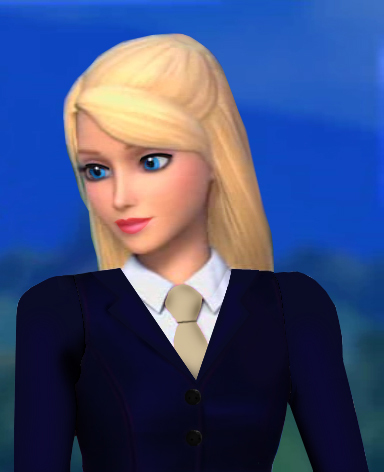 Blair in Dark Blue Uniform. . Wallpaper and background images in the Barbie pelikula club tagged: barbie princess charm school blair uniform dark blue. This Barbie pelikula fan art might contain mahusay bihis tao, suit, pantalon suit, pantsuit, suit, suit ng mga damit, and business suit.